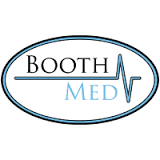 Booth Med is a local health & safety company located in Dufferin County. We provide solutions to small and medium business owners onsite. Visit our website for further information about what we do by clicking on our company logo below!